Rosters in professional League of Legends change more often than just about any other esport. During the year’s two offseasons, rosters shuffle quickly as teams try to grab the best players they can. Team management plots and schemes every day, proposing changes big and small to their rosters. But only a handful actually happen. Reporters track these discussions and moves through inside sources. We keep tabs on everything we can and dig up as much information as possible. When a move does fall through, we try to find out why. There’s been an influx of money into esports in the West, and especially North America. New organizations with big financial backers are spending more and more money on players. Several moves that would have significantly changed teamsand even the industryhave fallen through. These are the nine biggest Western roster moves that never happened. Team Dragon Knights was in a tough position before the promotion tournament in 2015. Their roster had just been split disastrously, led by the departure of former mid laner Seo Kyle Ji-Seon. So the team turned to Renegades mid laner Alexey “Alex Ich” Ichetovkin, bringing him on loan just for the tournament. And with Alex Ich, they made it to the LCS. With Alex Ich returning to Renegades, the team needed a long term replacement. They made quick and aggressive moves for players, beginning with former Winterfox AD carry Johnny Altec Ru and former Team Fusion mid laner Choi Huhi Jae-hyun. Both players declined offers at the last minute, however, with Altec going to Gravity and Huhi to Counter Logic Gaming. So the team turned to former Team WE mid Noh Ninja Geon-woo and former Keyd Stars mid Kim Emperor Jin-hyun. Those two werent able to get visas immediately, however causing the Dragon Knights to lose a majority of their games early in the season before getting relegated. Had the team gotten Altec and Huhi, there’s a good chance they would have never been auto-relegated and, in turn, changed the makeup of the entire LCS. Konstantinos FORG1VEN Tzortziou is arguably the best western AD carry everand he knows. And he’s been quite open about his interest in moving to North America. Hes had that opportunity (at least on top teams) twice. In September and October 2014, he was in negotiations with Team Curse to replace David Cop Roberson. The team even made vague references to him in a teaser it posted on its now-deleted Facebook page. But then 2013 World Champion Chae Piglet Gwang-jin became a free agent and the deal didn’t go through, with Curse going for the Korean veteran instead. Months later, Counter Logic Gaming was interested in signing Tzortziou after he was benched by SK Gaming in Europe. The team wanted to replace its long-time AD carry Yiliang Doublelift Peng in favor of Tzortziou, but ultimately decided against it. With FORG1VEN, Curse, which later became Team Liquid, surely would have had a better spring split. 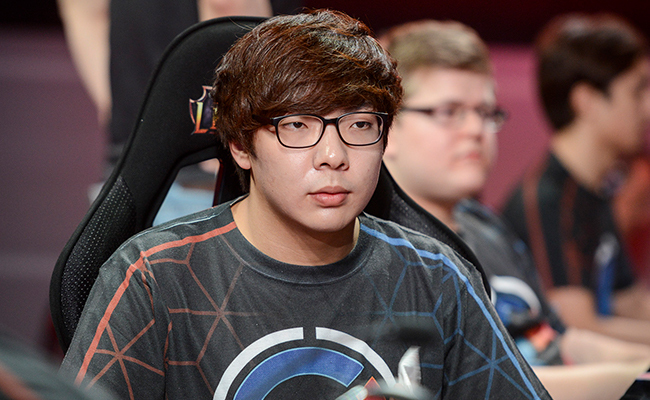 Piglet’s performances were inconsistent and the team struggled with the language barrier. That likely wouldnt have happened with FORG1VEN. Furthermore, he couldve been the strong, main carry player the team needed to potentially make it to Worlds. 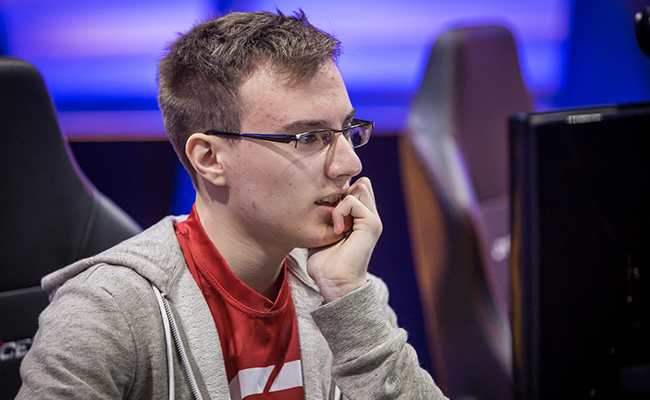 He may have made a difference for CLG, though the team’s playstyle wouldn’t have changed much. Both FORG1VEN and Doublelift are carry-first players. Lee Piccaboo Jong-beom started as a rising talent on SK Telecom T1 last year. But after a string of health issues, he missed the teams first international event of the year, the Mid-Season Invitational. But the support bounced back and joined KT Rolster for the summer. The 19-year-old support led the team to a second-place finish in the playoff finals, losing only to his former team, SK Telecom T1. Then, he got the team to Worlds with a run through the Korean regional finals. KT Rolster finished fifth-eighth at the World Championship. Following the event, however, the team made some big changes and Piccaboo left, making him one of the biggest free agents on the market. He was then approached by North American staple-side Team SoloMid and opened negotiations with them. Unfortunately for SoloMid, he declined that offer. With Piccaboo, their results this split wouldve likely been significantly better. The team picked up former Fnatic support Bora YellowStar Kim, who has had arguably one of his worst performances over a split ever. With a star like Piccaboo, who was at his prime last year, SoloMid could be the best in North America right now. Henrik Froggen Hansen is one of the best players to ever play League of Legends, with owner Rick Fox calling him the Michael Jordan of esports. With such a high profile, when Hansen became a free agent this offseasondeparting from long-time squad Elementseveryone wanted him. He became a hot topic of conversation for North American teams, starting with Team Coast (now known as Apex). That team offered him equity in the new organization Apex, as well as a starting position on its lineup. It then purchased the North American Challenger Series spot formerly owned by Team Imagine. But due to a last-minute offer from Fox and his new team Echo Fox, who purchased Gravity Gamings LCS slot, Hansen joined that squad instead. With Froggen, Apex wouldnt have changed much, although it couldnt pick up former Ever AD carry Park Police Hyeong-gi due to the three-fifths import rule. But as the team looks sure to qualify for the LCS, having a long-standing, legendary, professional mid laner couldve paid off. A massive amount of new money flowed into League of Legends this offseason, largely in the form of new, well-funded organizations such as NRG Esports and Immortals. Behind the scenes, these two teams were chasing after the same AD carry, former Gravity Gaming Johnny Altec Ru. Both gave Altec solid offers, while also negotiating with former Team SoloMid marksman Jason WildTurtle Tran as a backup. Whoever got Altec, the other would get WildTurtle. 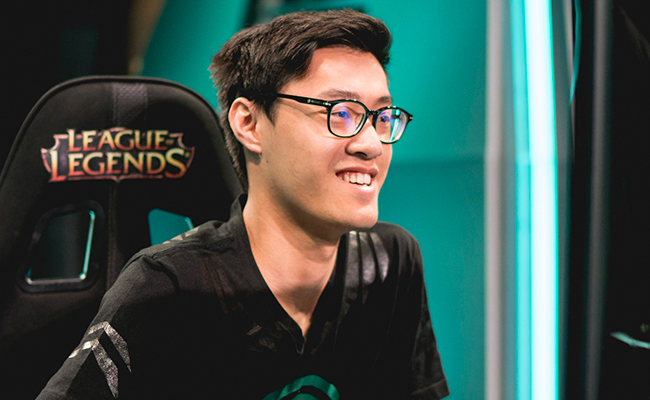 In the end, Altec chose NRG Esports and WildTurtle ended up with Immortals. Had it been the other way around, Altec would have played for the best team in North America in a long-time. On the flipside, WildTurtle wouldve worked much differently in a lane with Kevin KonKwon Kwon, since he requires a lot more constant help from his support. At the end of last year, most people involved in professional League knew that Enrique xPeke Cedeo Martnez was looking at options to step down as a player and switch to a managerial role for his team, Origen. But before former Unicorns of Love mid Tristan PowerofEvil Schrage came into the equation, there was G2 Esports mid laner Luka PerkZ Perkovi. PerkZ sat in on scrimmages with the team and even practiced with them for a few days due to xPeke’s absence for other responsibilities. He seemed like he could be a perfect fit for Origen. But after his team, G2 Esports qualified for the LCS, Perkovi decided to staya wise decision, in the end. Right now, G2 Esports is the best team in the European LCS, and PerkZ was crowned Rookie of the SPlit. Of course, Origen may have very well performed better this season if they’d secured the player. Bae dade Eo-jin, the mid lane king of 2014, became a much sought-after free agent after both Samsung Galaxy teams disbanded following the World Championship that year. The most notable Western team that was interested was Cloud9. The organization wanted to build a new Challenger lineup, Cloud9 Tempest, which also was rumored to have dades former teammate Lee Spirit Da-yoon. In the end though, Dade took a big money contract in China with Team WE Academy. That contract was reportedly around 1.5 million Yuan (roughly $230,000), as reported by the Daily Dot at the time. Dade helped lead that team to qualify for the League Pro League. In the end, dade had a disappointing season in China, and fans began to refer to the LPL as his “retirement home.” Would he have performed better in North America? Depending on how the rest of that Tempest roster filled out, dade may have dominated the North American Challenger Series and maybe even the LCS had the team qualified. Before the legendary Alex Ich was a Renegade or a Dragon Knight, he had his eyes set on joining CLG. The teams first tried to bring Ichetovkin in as a top laner in late 2013 to replace Zachary Nien Malhas for the 2014 season. But Alex Ich was afraid of all the work that would go into moving with his family to North America and that he felt he wouldnt perform properly in the top lane, as he explains on his Facebook page last year. So he declined their offer and joined Ninjas in Pyjamas instead. A year later, he reached back out to CLG hoping to get a tryout to replace Austin Link Shin in the mid lane. This time, however, CLG turned him down and wouldnt allow him to try out for the squad. In his prime, Alex Ich would’ve been an improvement. He wouldve needed to adapt to play in the top lane at LCS level in the beginning of 2014, but by the end of 2014 in Europe, his competitive record didnt look great. Had he played with CLG in 2015, its likely he wouldnt have been much of an improvement. Before settling on FORG1VEN before the Spring Split, H2K Gaming was looking into former Copenhagen Wolves AD carry Ale Freeze Knnek. Once he returned from bootcamping with Renegades in Korea, Freeze was keen on becoming a part of the star-studded squad. But H2K’s playersAndrei Odoamne Pascu, Marcin Jankos Jankowski, Yoo Ryu Sang-ook, and Oskar VandeR Bogdanwere less keen. They preferred to play with FORG1VEN, causing the organization to drop negotiations with Freeze.. While FORG1VEN is arguably a better player, the looming fear of his draft by the Greek military could hurt H2K in the future. Several weeks ago, it was announced that his service was temporarily deferred with no length specified. Freeze, who is Czech, wouldnt have these issues and would have given the team a long-term marksman. That would come at a risk of performance, though, as H2K Gaming in current form looks like the second best team in Europe.